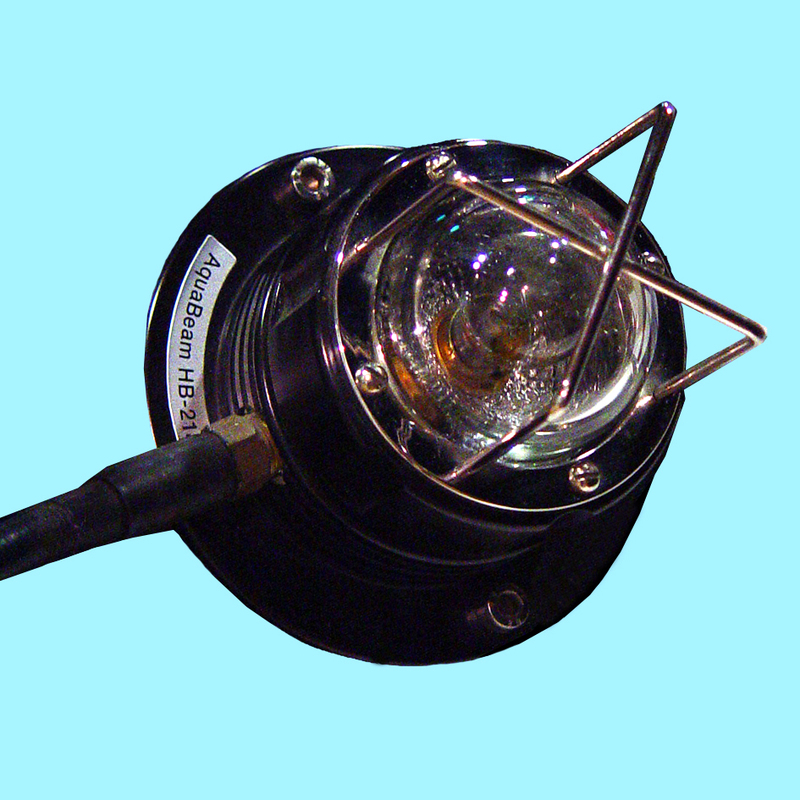 The Aquabeam HB-21 is a hyperbaric light fixture that provides general illumination within submersible diving chambers (SDC) or decompression chambers (DDC). The HB-21 embodies a rugged 24 volt, 21 watt incandescent bulb which is available with either a clear or frosted envelope. The lamphead is fitted with a helium relief valve to eliminate post decompression explosion hazard, and a stainless steel cage protects the glass dome from accidental damage. The Aquabeam HB-21 hyperbaric light is pressure tested to 70 bars, DNV type approved and ideal for chamber bunk lighting. Depth rating Standard fixtures are tested to 70 bar absolute. Greater test pressures will be applied against specific requirements. Operating temperature In free air at 22OC ambient, the basic fixture operates at 55OC and less than 50OC with heat-sink plate. Lower operating temperatures may be expected when the fixture is mounted on a conductive mass, exceeding the dimensions of the heat-sink plate.